U6 provides reliable and specialist photorealistic imagery to assist a range of professionals, developers and decision makers to fully assess the potential visual impact and consequence that may result from future development. Photomontages have become a vital tool contributing to the success of depicting how new development will sit in its proposed landscape context. Patrick and his design team have established good working relationships with many leading landscape architects, engineers and resource management professionals, and since their emergence in 2001 they have helped secure consents for a diverse range of industry sectors nationwide. Escalating compliance issues in today's highly regulated environment requires a proactive approach to managing public perception of development proposals. U6 recognises this need and can help provide highly specialized visual representations in a format appropriate to the specific requirements of Local and Regional Councils, Board of Inquiry Hearings as well as meeting the rigorous standards required by the Environment Court. U6 are well known for delivering quality imagery, on time and on budget. Their design team works quickly and efficiently to meet tight deadlines so your project will progress to the next level. U6 regularly test and review their methodology, and comparisons made on site over the years have found that what has been depicted in their verified photomontages match perfectly to the completed development. Patrick and his team are proud of their work and passionate about visualisation. For further information about how we can help assist you and your project contact us today. 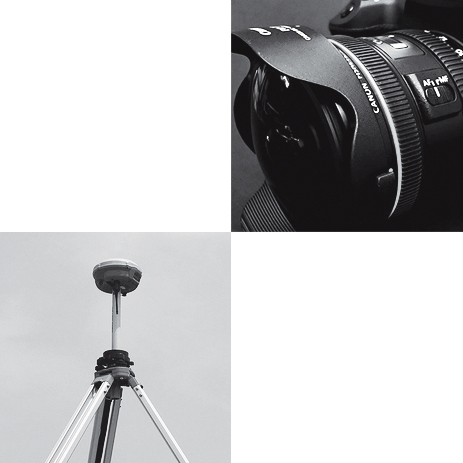 U6 use highly accurate Leica GPS survey equipment to establish the 3D coordinates of the photo viewpoints and survey points which is essential to the success of any verified photomontage. Following an initial client brief our team undertakes an on-site visit with the Landscape professional where viewpoints which best 'represent the viewing audience' are established. When the photography phase has been completed we consult our surveyor to establish the 3D coordinates of each photo location and the proposed survey points. Once the relevant project information is gathered our creativity and skill kicks in to produce a unique depiction of your design which is combined within each panoramic scene. Images are presented as 'before' and 'after' scenes on the publication with a unique reading distance – this is the suggested hand-held distance to view the photomontages. This enables the viewer to experience exactly how the proposal would look if actually standing out in the field at the viewpoint location looking towards the site. A panoramic image produced by stitching several single frame images together can provide a more informative representation of the effect of a development in the landscape.